Tata Motors officially revealed E-Vision concept at 2018 Geneva Motor Show. 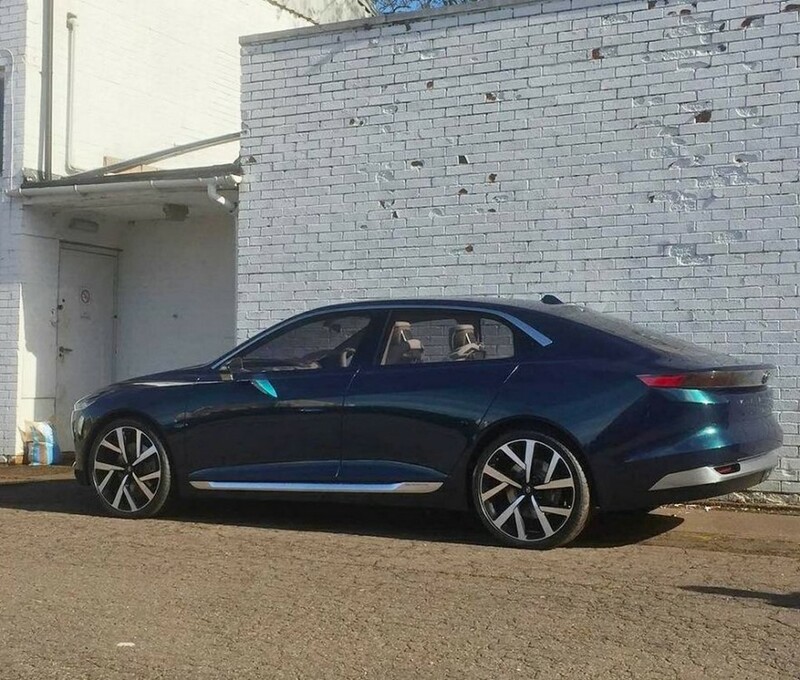 The E-Vision concept has been spotted at a public road for the first time. The place looks like somewhere abroad not India. Tata Motors have confirmed that E-Vision concept will eventually make it into production and the company will place it as a C-segment sedan. 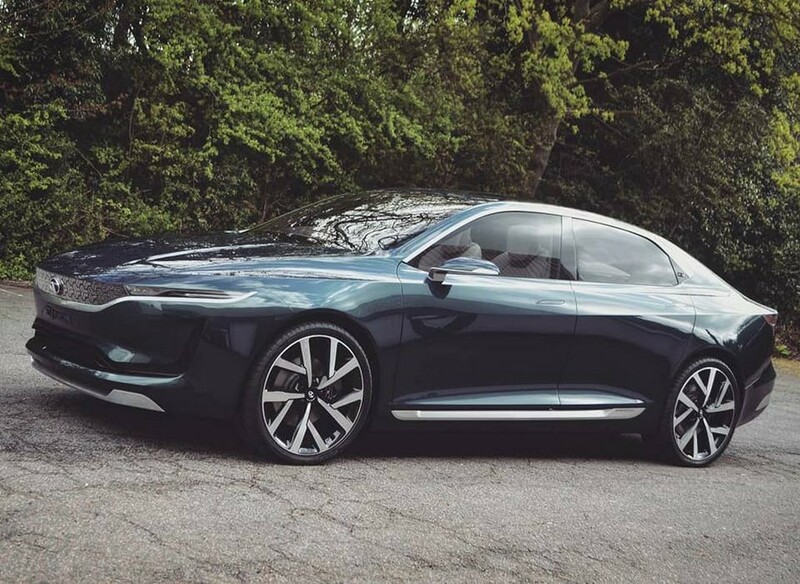 The Indian manufacturer hasn’t revealed much detail about E-Vision concept but it is based on new OMEGA EV architecture and it will be used for future electric cars from Tata Motors. The design of E-Vision concept is striking as it is based on IMPACT Design 2.0 and like the recent concept models from Tata Motors the E-Vision concept also follows the same design theme. The front gets small headlamps with large grille along with wide air-intakes which gives the E-Vision concept a big car feel. The side design is simple as the door handles are flushed to the body and they pop-out once you are near the car just like the Velar door handles. The window line is blackened to give a sporty look and the mirrors are placed on the door instead of A-pillar. The rear get tail lamps along with a LED strip which connect both the tail lamps. The roof of E-Vision concept is partially transparent to let the light go through it. Overall, the exterior design is the best we have seen from Tata Motors. The interior continues the futuristic theme of the outside as the dashboard layout gives a premium feel. The three spoke steering wheel is similar to current Tata cars. The centre console get pop out infotainment system and AC can be controlled by the second screen placed below the dashboard. The dashboard has a large screen which displays battery details. 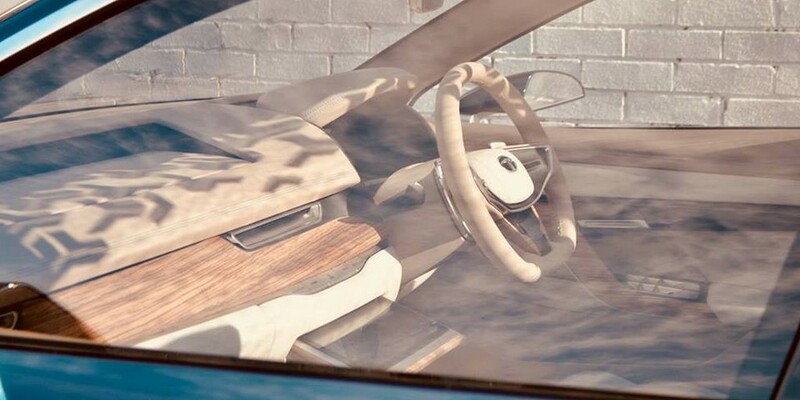 The dashboard and door has lots of wood inserts for the premium feel. Tata Motors hasn’t given details about battery but the E-Vision concept can hit 100 kph in 7 sec and top speed is 200 kph. The E-Vision Concept get fast charging option but the production version will be powered by 1.2 L Revotron petrol engine and 1.5 L Revotorq diesel engine. These engines will get the option of manual and automatic gearbox.